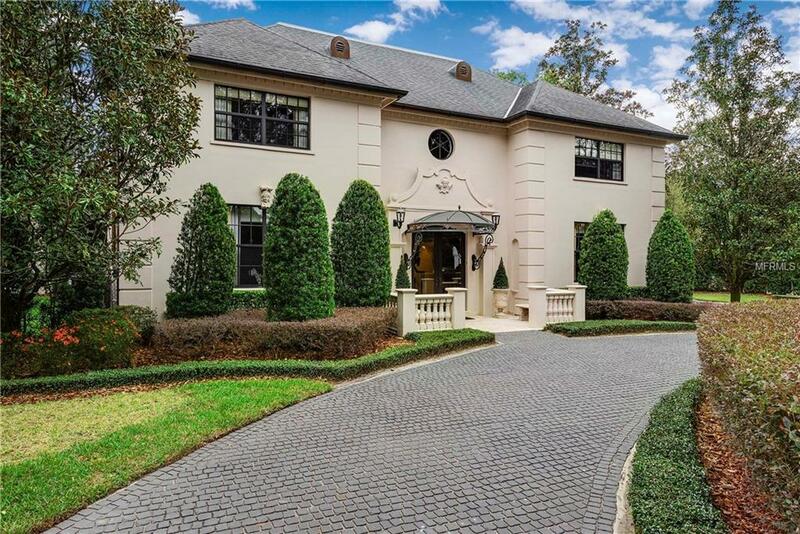 This luxurious estate is a European masterpiece located in the golden triangle of Winter Park. 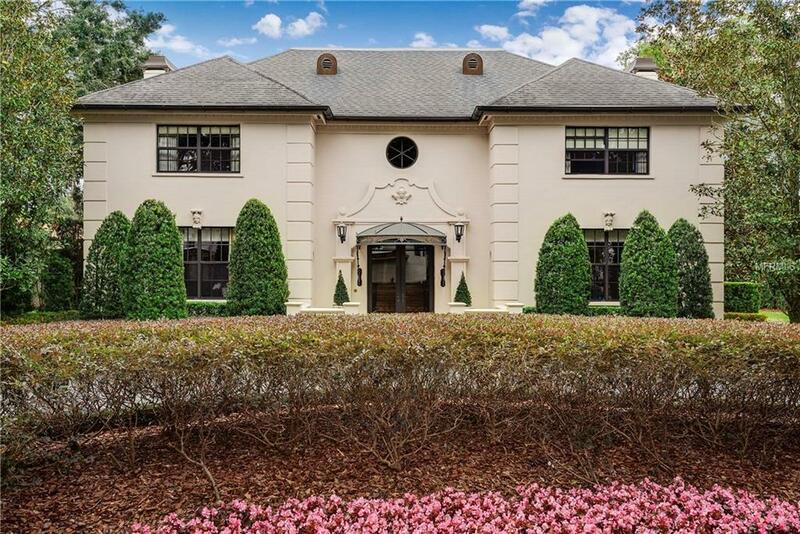 A mature, well manicured podocarpus hedge surrounds this .59 acre property and affords the ultimate in privacy. 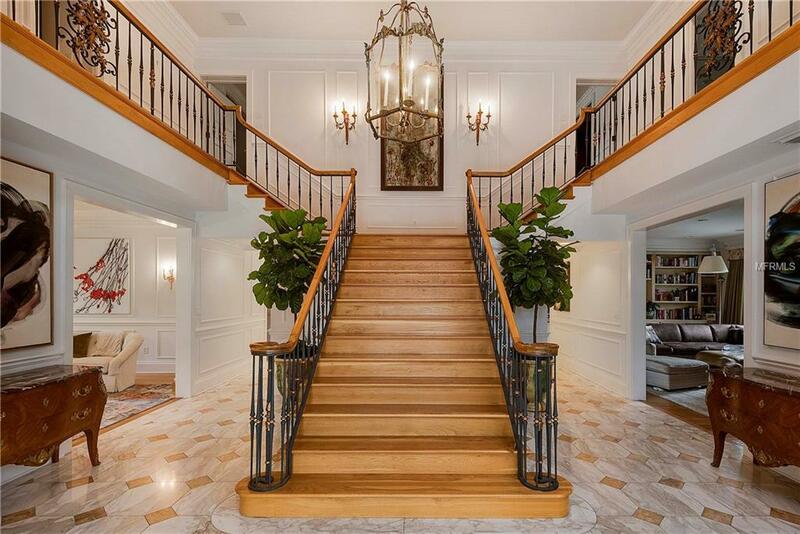 Enter through the grand portico featuring custom marble floors with onyx inlay and an elegant sweeping staircase with hand painted gold leaf details.The downstairs floor plan is a perfect example of the sophisticated salons that epitomize gracious European living. Downstairs includes a formal dining room with custom pocket doors, living room with gas fireplace, a den, an office and a wonderful, large family room also with a gas fireplace. The current kitchen was added during the homes renovation and includes granite countertops, a copper farm sink with Bosch dishwashers on each side, a spacious island, Thermador appliances, a butlers pantry, French country built-ins, and a mud room. The incredible view from the kitchen of the enormous pool and backyard makes the kitchen a favorite gathering place! Upstairs is equally as lovely with an exercise room plus 4 bedrooms, including a spacious master suite featuring 3 balconies, gas fireplace, a sitting area and concealed mini-bar. A walk-in dressing room master closet is one of the most prized elements of this magnificent space. This home even has a complete two bedroom, one bath apartment above the garage ideal for a game room or living space for a nanny, guest or in-laws. 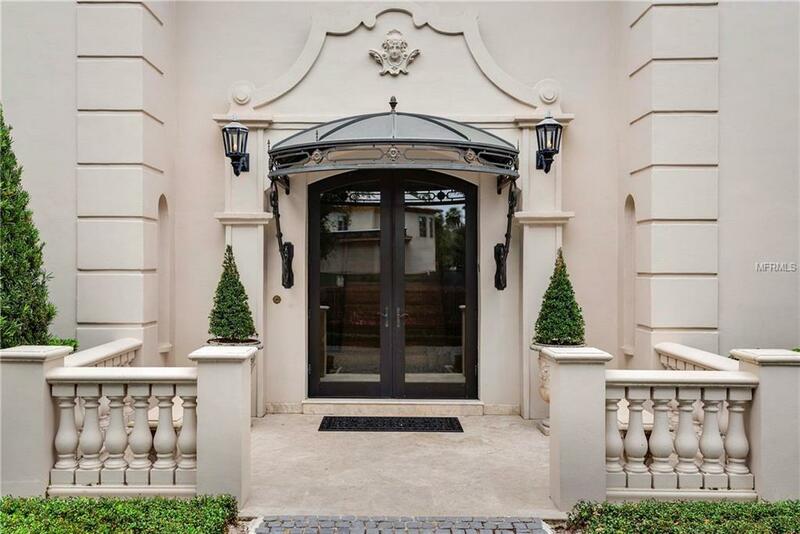 Nestled in a private cul-de-sac, dont miss this exceptional home!